After vacationing for three weeks, I finally finished my winter Korean dramas. However, oddly enough, I haven’t been in the mood much to start a new batch of dramas. It may also be due to the fact that I am marathoning through Vampire Diaries. Voice, though, is the only one so far, that I have started for this spring. This drama tells the story of Jin Hyuk, a ex-detective who lost his wife to a serial killer. However, before she had died, she had called the emergency response center. They could not get to her in time. The woman who had responded to her call was Kwon-Joo. Kwon-Joo had the special talent of sensitive hearing due to an illness when she was younger. Everyone thought the culprit was a certain male and no one would listen to the details she gave because it did not match the person she caught. The tragedy of the event changed their lives forever. Jin Hyuk went on a three year bender while Kwon Joo decided to improve her skill set in America. Fast forward three years, Kwon Joo comes back to revamp the emergency response system. She wants to create the Golden Time team where an emergency team of police officers are dispatched and apprehend the perpetrator within ten minutes. She wants Jin Hyuk to head the team, but to his reluctance the ridicule of the entire police department. Furthermore, she is still searching for the killer who had murdered Jin Hyuk’s wife. Slowly, through multiple cases, these two manage to work together and save several people. Jin Hyuk finds out about her special ability and trust begins to develop between them. 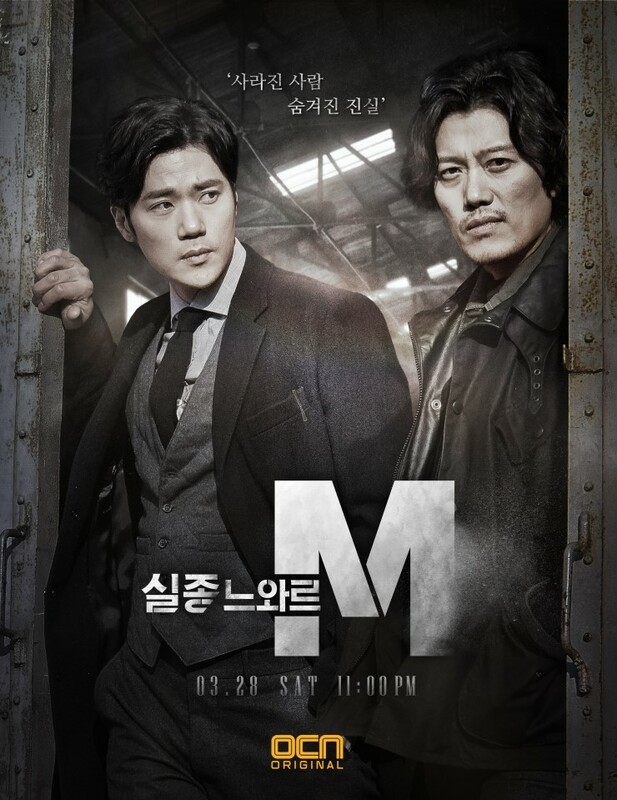 OCN, this trusty cable network, always has gritty crime dramas that are right up my alley. Jang Hyuk is a talented actor who portrays Jin Hyuk’s doggedness and fierceness very well. Of course, I also missed his insane laugh from Fated To Love you. He has a talent for playing intense characters. As for Lee Ha-Na, this is my first drama with her. She plays a decent character who is actually strong in her own right in a world run by men. She doesn’t take any nonsense or ridicule from the men in her workplace and puts her foot down to get what she needs. I appreciate this type of female character that you don’t get to see a lot in a crime drama. As for the culprit, I have a good idea of who is playing him. However, the show throws out several red herrings which makes me wonder if there is a bigger twist. I of course had suspected his partner for playing a part in the tragedy, but who knows? I love these kind of shows that keep you on the edge of your seat and guessing. OH OH OCN, you have lured me into watching the 7th airing drama on my list. Vampires done the right way for once! In the lieu of Vampire Prosecutor (which I will watch one day), we have vampire detectives now! Lee Joon is Yoon-San, who originally attended police academy before messing up a special undercover operations with two other new officers. One of these officers was his girlfriend, who always wore a sun pendant. However, after the three of them barely escaped from a dangerous situation, his girlfriend starts acting weirdly. She ends up shooting Yoon-San in the chest, and then blows up with the car and the third officer. I guess in one way, you can see it as her trying to save him before the car blows up. Yoon-San is mystified and heartbroken at the the turn of events. After recovering from his wound, he decides to do private investigating instead of pursuing a path in police work. He and Goo-hyung make a living investigating everything from murders to affairs. One day, Gyeo-wool visits them and demands that they help her find out why her brother is acting suspicious. They end up running into more suspicious people who have a storage of blood samples and the boss is a woman wearing a sun pendant. This piques their interest and they decide to take the case. It turns out that her brother is actually a vampire who is researching different blood strains in order to save his girlfriend. However, things come to a head as the brother and girlfriend sacrifices their lives to protect the little sister. Before the brother passes, he injects his new blood strain into Yoon-San who had leapt into the path of a bullet to save Gyeo-wool. The blood saves Yoon-San’s life as his chest wound heals. The three are left in amazement at the aftermath of such events. Vampires can either be done very well or end up in nonsense. Luckily, as a spinoff of Vampire Prosecutor, we know we have good writing and cinematography behind the wheel of this drama. Fortunately at the helm of this drama is Lee Joon, an idol turned actor that I very much admired due to his previous works. He has a wide range of acting, and I especially enjoy the brooding type. I am interested to seeing how his new powers manifest and how it will aid his job. Furthermore, I want to know what is up with the sun pedant woman and if it is old girlfriend. As for Goo-hyung and Gyeo-wool, the other two legs of this detective agency, they make nice support and I hope to see them develop more into their own characters. I am already loving Geyo-wool who is street smart and already a big help to their multiple escapes. Crime-related dramas seem to fall into two categories, cop squads who can’t find their own butts or genius detective with a few sidekicks. Now if the main point of the drama is romance with a side of cop, then fine, you can have your incompetent police force. However, for me, I believe a good crime drama needs these ingredients: intelligent problem solvers, interesting crime scenes, actually clever villains, and a certain dash of gray aggressiveness that says hey, the world isn’t black and white. One crime drama in the past met this formula, Bad Guys and Hannibal, and I’ve hit it again with Missing Noir M.